Full of surreal humour, this pure nonsense story about males and females is modelled, as declared by its author, on real life. It begins with thorough preparations: taking a bath, dressing-up and putting on make–up. Finally, a man and a woman meet. They talk, sip drinks, dance to spirited music, make love. When the bewildered man leaves the room he will suffer a shock. The allure of the femme fatale may prove to be fatal. The striking visual design makes an excellent match for the extremely expressive music which sometimes leads the narration. 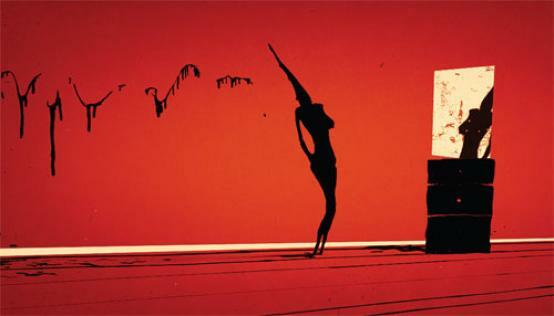 Michał Socha’s ﬁlm received the Bronze Pegasus at the 1st Animator Festival in Poznań (2008) and Golden Goats as the best animation for young people at the 26th Young Audience Film Festival, also organized in Poznań (2008). Graphic artist, animator and scriptwriter born in 1981. He graduated with honours from the Graphic Arts Department of Warsaw Academy of Fine Arts. He specializes in animation and special effects for commercials and television productions. Among his short animations there are The Concert (2006) and Odlot (2007). A Chick (2008) is his third film.